Make that 6 facts if you didn’t already know I am left handed! Yes, I’m a proud lefty, no thanks to the teacher who tried to make me write with the ‘right’ hand. They did that to the King of England too, didn’t they? Thankfully for me, my mother saved the day and explained how genetics made me left handed! Here are 5 Left Handed Facts that might help you right handed folks to appreciate us more! 1. We’re normal – in fact, we’re above-normal – we’re excellent! Despite all the bad names left handed people are called we’ve done pretty well for ourselves in all areas. Michael Angelo, Leonardo Da Vinci and Albert Einstein were left-handed, not to mention several US Presidents and even Bart Simpson! 4 of the 5 original designers of the Macintosh computer were left-handed. Put that in your pipe and smoke it all your name callers! The world is biased against us. People laugh when we struggle with a pair of scissors, or write in an awkward way, or put the kettle on the hob facing the wrong side. No, we’re not clumsy, it’s just that cutting implements, pens, some writing desks and lots of day to day tools are not made for the left-handed. We have problems winding clock-work toys and tying laces too. Yet, not matter how awkward we may seem, we survive and even thrive! Thankfully too, we now have access to implements made for the left-handed. Since the right side of the brain and the left side of the brain have to converse more quickly in the left handed, according to researchers, we’re better at multi-tasking and handling large amounts of unorganized material. 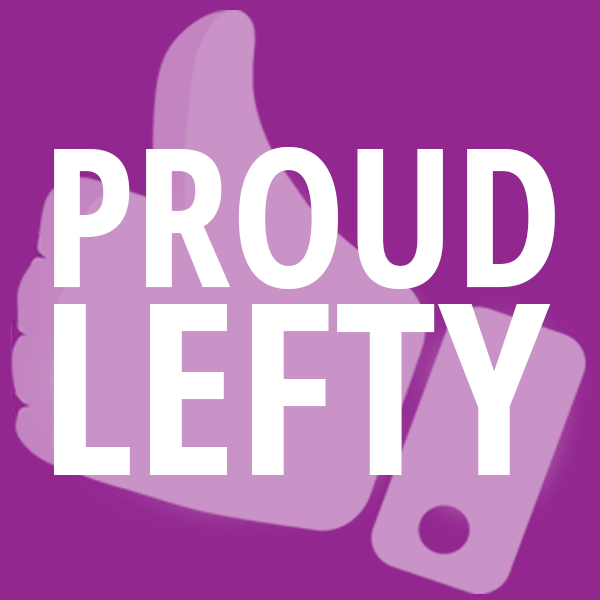 Initiated by the Left Handers Club in 1992, International Left Handers Day is celebrated on August 13th. H is thrilled there’s a special day for him! And it happens to be my husband’s birthday that same day. Your post made us so happy. Thanks. Pravs was one of those who was made to write with his right even though he was a leftie by birth. Today he is almost comfy with using either of his hands….